South Korea are done at this world cup, they head home after this match as they lost their opening two games. The loss to Sweden started their misfortune, they were so close to getting a point at least but just couldn’t click early, they again left it late against Mexico, scoring at the death when it means nothing, now they have pride to play for, without pressure they will look to spoil the party for the defending champions. Germany were stunned in the opener, losing to a spirited Mexico side off a fierce Hirving Lozano strike. 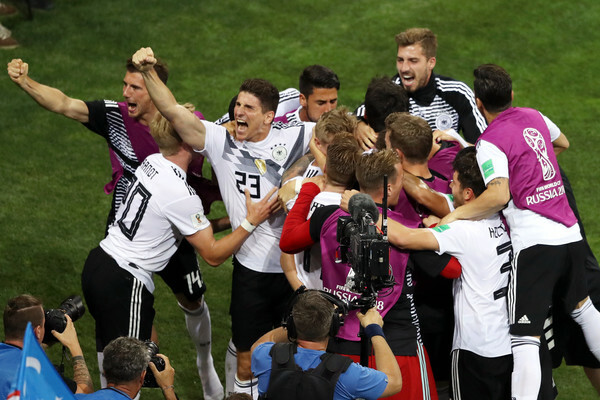 The second game was even more difficult, after equalizing at the start of second half, the Swedes kept it tight and were even gifted chances on the break that could have further dented the hopes of the Germans but managed to hold on, basically through the heroics of skipper Manuel Neuer. As the clock winds down, with the last action of the day, Toni Kroos stood up and got counted, his intelligent free kick sailed past Ruben Olsen in goal and the numerical advantage count for nothing with George Boateng sent off for the defending champions. Germany just need to win here by at least two goals to stand a chance of qualifying without really needing help from anyone, they won’t care about what is happening at the other end if they do their own job. They could qualify with a point here if Mexico beats or plays out a goalless draw with Sweden but that would be them taking chances.